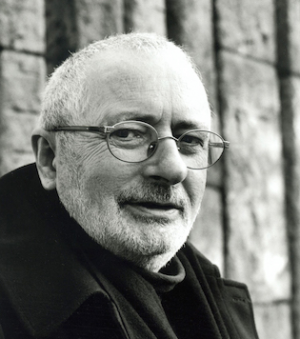 Prof. Francis “Terry” Eagleton FBA, was born in 1943 and grew up in a working-class Irish Catholic family in Salford, with roots in County Galway. He is a prominent British literary theorist, critic and public intellectual. He is currently Distinguished Professor of English Literature at Lancaster University, Professor of Cultural Theory at the National University of Ireland, and Distinguished Visiting Professor of English Literature at The University of Notre Dame. He was educated at De La Salle College, a Roman Catholic grammar school in Salford. In 1961 he studied English at Trinity College (Cambridge) and in 1964 moved to Jesus College (Cambridge). In 1969 he moved to Oxford where he was fellow and tutor of Wadham College (1969–1989), Linacre College (1989–1993) and St Catherine’s College, becoming Thomas Warton Professor of English in 1992. In 2001 Eagleton left Oxford to occupy the John Edward Taylor chair of Cultural Theory at the University of Manchester. Eagleton has published over forty books, but remains best known for Literary Theory: An Introduction (1983), which has sold close to a million copies. He has also been a prominent critic of postmodernism, publishing works such as The Illusions of Postmodernism (1996). He has also become a vocal critic of what has been called the New Atheism, publishing a review of Richard Dawkins’s The God Delusion in the London Review of Books (2006). Terry Eagleton delivered Yale University’s 2008 Terry Lectures and the 2010 Edinburgh Gifford Lecture entitled The God Debate. He gave the 2010 Richard Price Memorial Lecture at Newington Green Unitarian Church, speaking on “The New Atheism and the War on Terror.” In 2009 he published a book, which accompanied his lectures on religion, entitled Reason, Faith, and Revolution: Reflections on the God Debate. Literary Theory: an Introduction (1983, revised 1996), probably his best-known work, traces the history of the study of texts, from the Romantics of the nineteenth century to the postmodernists of the later twentieth century. His most recent publications include: How to Read Literature (2013) and Culture and the Death of God (2014).